THREE WORKERS AT Melbourne Airport were fired and one security guard lost his job after the Australian Foreign Minister was subjected to a security screening. 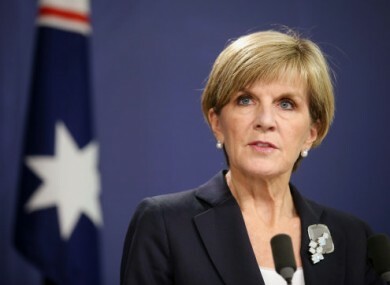 The Sydney Morning Herald reports that Australian Foreign Minister Julie Bishop was singled out to be given a screening on her way through the airport on 22 September. Workers were later suspended after evidence emerged that the check was not random and therefore breached airport security protocol. While Bishop’s office has claimed that “no official complaint was made” on her behalf the Herald states that the government had a direct hand in the incident being investigated. A spokesperson for Deputy Prime Minister Warren Truss told the Herald that his office had contacted Melbourne Airport in relation the incident. The DPM’s [Deputy Prime Minister's] office raised the matter with the [Transport] Department and Melbourne Airport. Melbourne Airport undertook an investigation and acted accordingly. The man, who was standing in at the security area for a co-worker, was told that Bishop had felt “uncomfortable” with his presence during the check. The woman who was suspended for carrying out the check has since been reinstated after undergoing further training. Bishop’s office reiterated in its statement to the Herald that she had nothing to do with the investigation. “Neither the minister nor anyone from her office has made any official complaint regarding her transit through Melbourne Airport at any time,” it said. Email “Airport workers suspended and one fired for security check on Foreign Minister”. Feedback on “Airport workers suspended and one fired for security check on Foreign Minister”.